The United States Agency for International Development (USAID)’s initiative to strengthen youth employability and skills development project, YouLead!, concluded a four-day youth leadership forum on December 9th, 2017 at Trace Expert City, Colombo. The closing day brought together 40 youth ambassadors and 60 representatives from the public, private and non-government sectors in interactive and engaging ways to seek solutions that will support and increase youth employment in Sri Lanka. 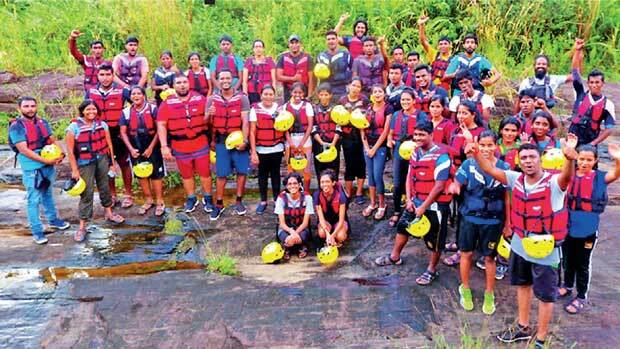 The forum began with a three-day adventure camp in Kitulgala. 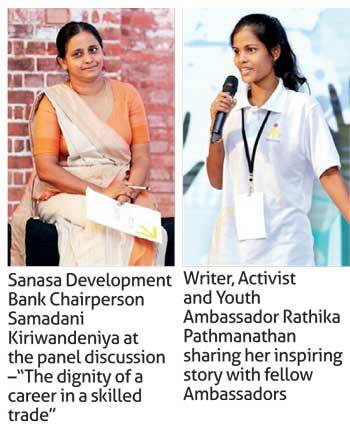 Young women and men selected as youth ambassadors from across Sri Lanka shared their thoughts and aspirations and spoke about the challenges of youth unemployment. Under the theme, ‘It’s our future’, these young ambassadors discussed a wide range of issues including youth employability, suitable employment, and being successful and competitive in the labor market. Following the forum, these young leaders will return to their communities and to their peer groups energised and better prepared to support youth in their communities. These future leaders will actively mentor other youth in their development, and engage with budding young entrepreneurs looking to kick-start their own businesses. Inspirational speakers at the closing event at Trace City, included Suranga Nanayakkara, the visionary behind the ‘Augmented Human Lab,’ which is at the forefront of human computer interface design; Rathika Pathmanathan, writer and activist; and Aruna Samarawickrema, multi-award winning innovator and manufacturer of prosthetic limbs in Sri Lanka; CodeGen co-founder, Dr. Beshan Kalupala, who together with Dr. Harsha Subasinghe, is building Sri Lanka’s first advanced technology supercar; and former Rotary International Governor, K.R. Ravindran, a successful, first-generation entrepreneur. Thought-provoking songs by celebrity singers Bathiya and Santhush, and Thurraya, brought the fantastic event to a close. The USAID-funded YouLead! project is administered by Volunteers for Economic Growth Alliance and implemented by International Executive Service Corps (IESC), an organisation that has worked with hundreds of private enterprises in Sri Lanka since 1965. Under YouLead!, IESC will partner with the Ceylon Chamber of Commerce, the American Chamber of Commerce, Arizona State University, Global Communities, Skills for Life, and Verite Research.